The community of Jay is home to Jay Peak Resort, which each year attracts more than 650,000 visitors from around the world. But until the 1950s, the greater Jay Peak Region was a rural, wooded community well off the beaten path. 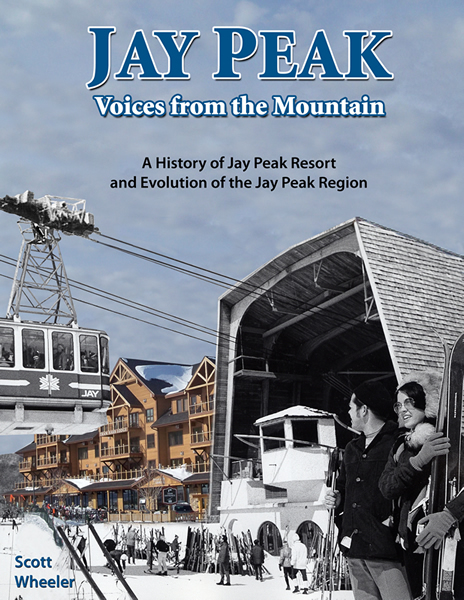 In his latest book, Jay Peak: Voices from the Mountain, Scott Wheeler of Derby, Vt., explores the evolution of the Jay Peak Region, including the Jay Peak Resort. The 224-page book is filled with stories told by people who lived the history of the region. It also tells the history of logging, farming, and bootlegging in the region, as well as international intrigue of the Space Research Corporation. The book includes more than 160 historic photos. To order a copy of Jay Peak: Voices from the Mountain, please send a check or money order for $17.95, plus $3.00 for shipping and handling (U.S. only), to Vermont’s Northland Journal, PO Box 812, Derby, VT 05829, or order by phone at (802) 487-0254. If you have questions, email northlandjournal@gmail.com .